During the spring break of 2006, I wanted to continue where we had left exactly an year ago - ruin hopping in the Mayan jungles of Central America. But my plans to knock off Guatemala in a week were quickly squashed by my wife who, blinded by the over-marketing of the Travel-Channel, insisted on Paris. As it always happens the wife managed to win the argument and we were off to our first European trip. On the first day we met up with an old classmate of mine, Bundar (who was studying, God knows what, at INSEAD) and his wife. In a bid to fight off the jet-lag, we visited some lesser know sights of the city - Natural History Museum, Modern Art Museum and The Pantheon. Pantheon, an old church dedicated to the city's patron saint (St. Genevieve) who managed to save the city from Atilla, the Hun, was easily the most impressive of the three. It is also the site where Focault proved the rotation of Earth using his massive pendulum and it is also the final resting place of many of the nation's heroes. The Modern Art Museum, building not the contents, is worth a mention. It resembles a skeleton equivalent in architecture - no skin, no muscle with all the bare bones visible. The following day we took on the world's largest museum, Louvre. With a floor space large enough to hold a marathon but small enough to display only 10% of its collection at any time, the museum can quickly overwhelm you by its enormous wealth of its contents. You can spend a rewarding day here and still miss all of Da Vinci, Rubens, Poussin, Le Brun, Boticelli and Titian. No other place in the world can hide so many heavy weights so easily. After doing our best to take in as much as we can, we eventually gave up and retired to our room to nurse our aching limbs. We needed a day to recover our strength to continue our museum hopping. The ubiquitous French strike came to our rescue. As most of the city was shut for the day, we just visited St. Chappelle (boasting the largest collection of stained glass panels) and catching an IMAX movie at the city's science centre. Next we took on the other heavy weight of the city - Orsay. This museum takes over from where Louvre finally ends. But unlike Louvre, giving justice to all of its contents in one visit is a distinct possibility i.e. if you can drag yourself from the eye-popping main floor. Thanks to our training at Louvre, we managed to complete the museum with enough time and strength to climb the three big landmarks of the city - the towers of Notre Dame, Arc de Triomphe and the Eiffel Tower. The following two days we spent visiting all the lesser known sites that was covered by the one-week-see-all tourist pass. The pick of these were Marmottan Museum (housing the largest Monet collection), Cluny Museum (housing some exquisite 15th century tapestries), Guimet (housing the nations Asian Art collection) and the lavish Petit Palais. The Picasso Museum - housing the largest collection of the master - did not make the list only due to our inability to comprehend anything post-impressionist. 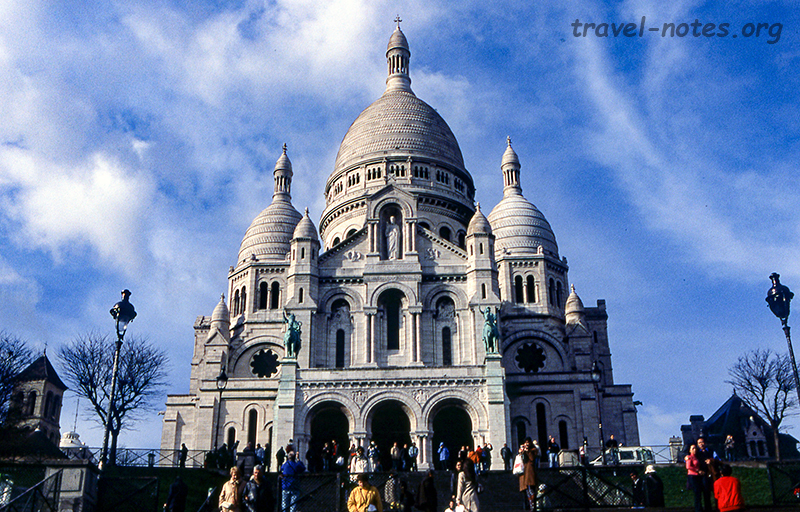 Somewhere between all these, we also managed to visit three of the most striking places of worship - Basilica de Sacre Coeur perched high up on the Montmartre hill, Parthenonesque Eglise de Madeline and the neck breaking gothic St. Eustache. In order to bring some variety, on our final day we decided to visit Versailles to see the 16th century extravagant chateau of Louis XIV. The chateau is monumental, elaborately carved and cloyingly lavish. Among the room after room of gilded furniture and exquisite art pieces that we walked past, our brain managed to retain only the bedchambers of the king and the queen and the dazzling Hall of Mirrors. The Hall of Mirrors which despite being half closed for restoration still managed to qualify as the single most striking sight on our week long trip. A week in Europe was enough to convince that the place is quite different from what we had seen and experienced elsewhere on the planet. But it does share one ugly nature with the rest of the world - the airline/airport/immigration officials go out of their way to ensure that you start and end the trip on a sore note. 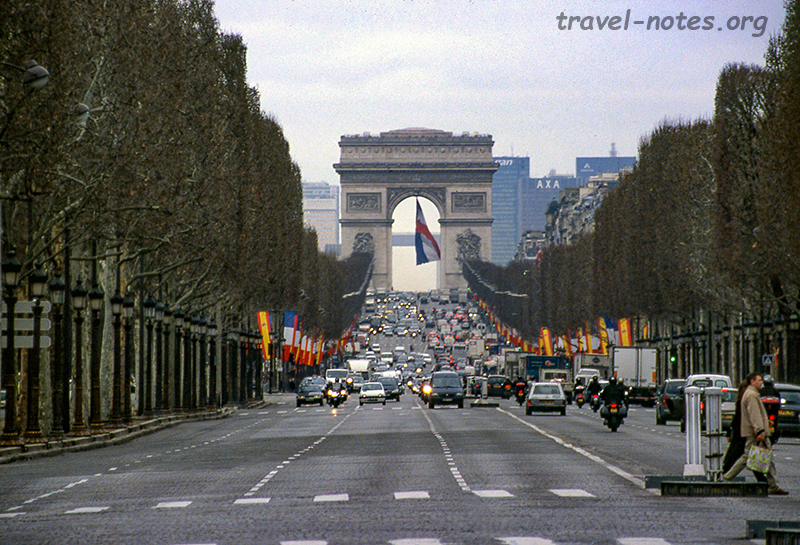 Click here for more photos from Paris. 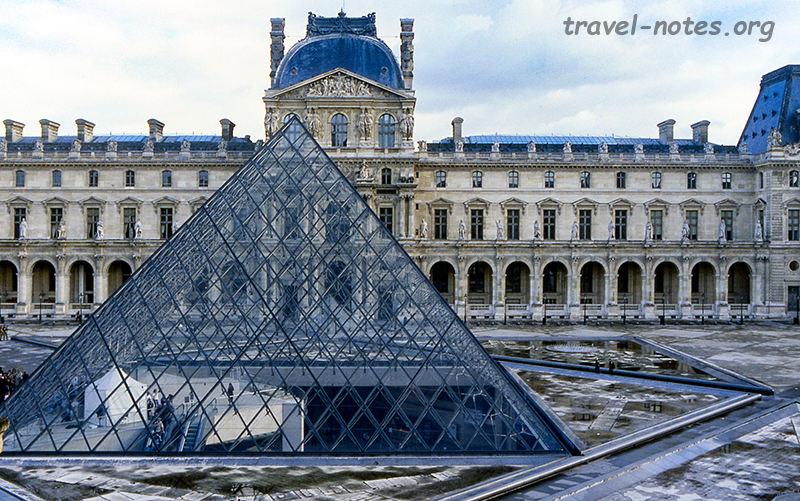 Click here for more photos from Louvre. 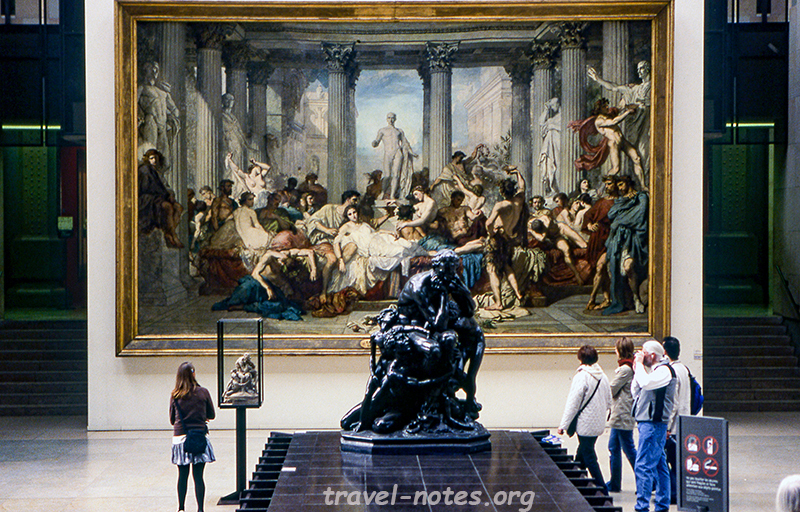 Click here for more photos from Musee d'Orsay. Click here for more photos from other museums in Paris. 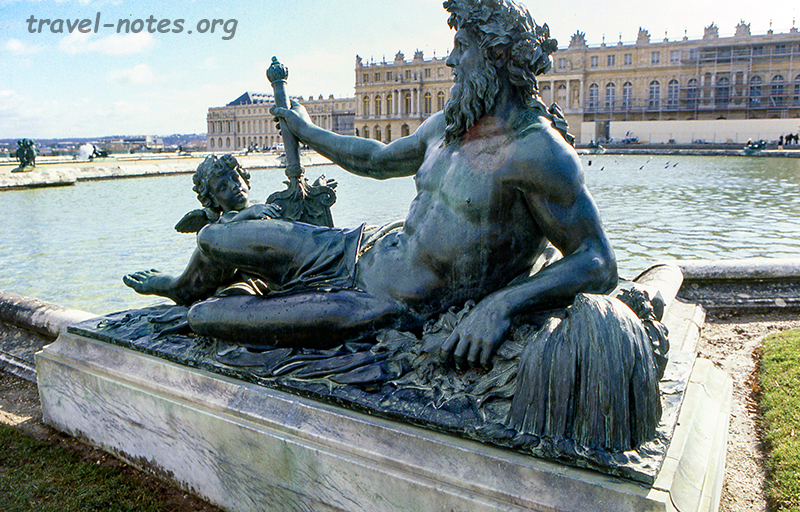 Click here for more photos from Versailles palace.